Ute Aurand’s diary films, film portraits, and travelogues belong to the lineage of Jonas Mekas, Marie Menken and Margaret Tait. A key figure in Berlin’s film scene since the 1980s, Aurand records life’s small, ephemeral details on a handheld Bolex camera, later reworking them in a style that is at once energetic, rhythmic, playful and — unusually for experimental cinema — tender. 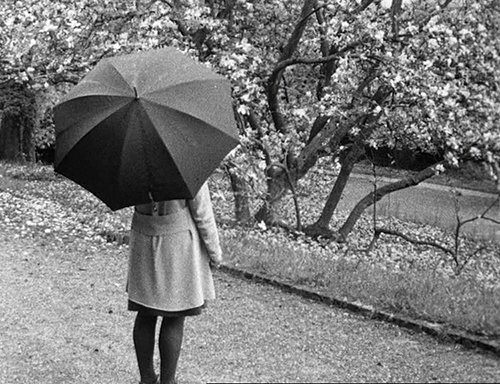 She has described her approach as “a brief touch” — “like a swing, to go away and come back and go away and come back again.” Her films explore the lives of friends and strangers, the atmosphere of local and foreign places, and “the absolutely singular, exquisite textures of daily life around her” (Michael Sicinski). A two-hour film consisting of heavily edited frame by frame collage/montage/hand painted/ripped/cut/etched found footage culled from numerous sources, including a 1970's public speaking instructional film, 'Themes From The Odyssey', 8mm stag films, 'Self Protection For Women', a biography of Vincent Van Gogh, ethnographic documentaries, science films, home movies, 'The Frog Prince', a film about underwater sound, and many other assorted educational films. Through the use of juxtaposition of images (which may by nature become narrative and/or symbolic), rapid movement of form and texture, and repetition of motifs, an intricate visual structure is created which allows the viewers to experience and create their own unique readings. The film is silent, which allows one to follow the rhythm of the edits and movements of form and color within the frame without audio distraction against the complex visual structure.